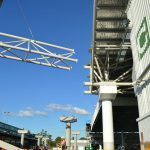 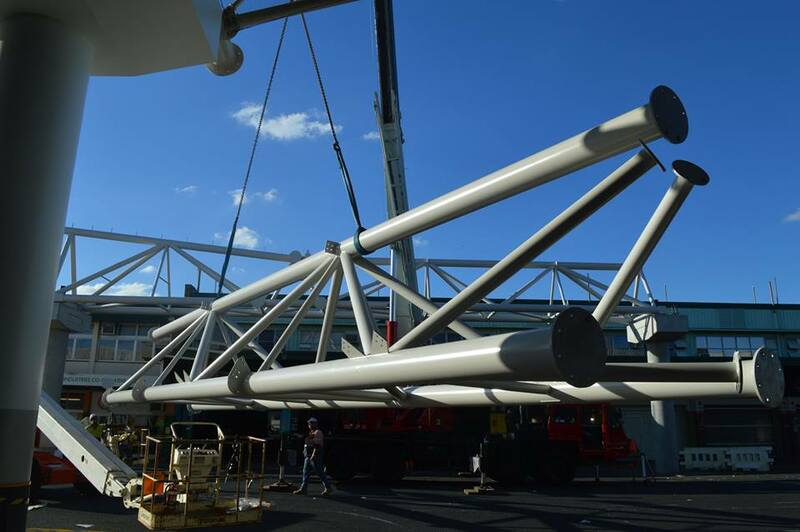 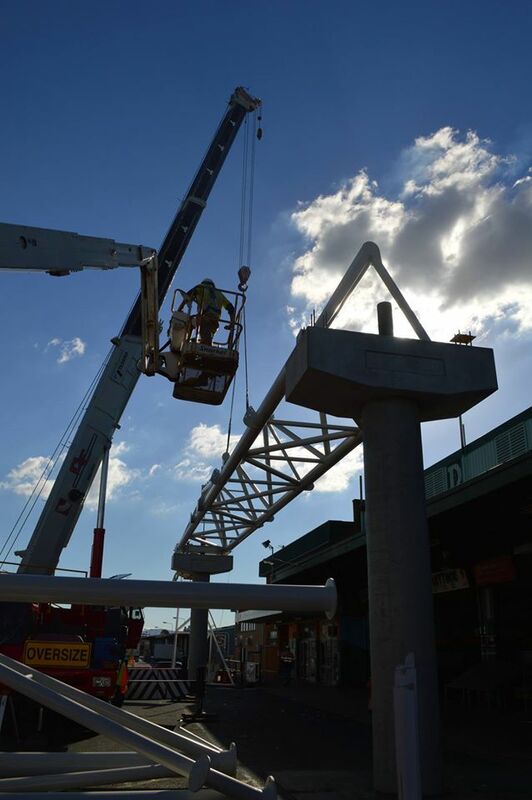 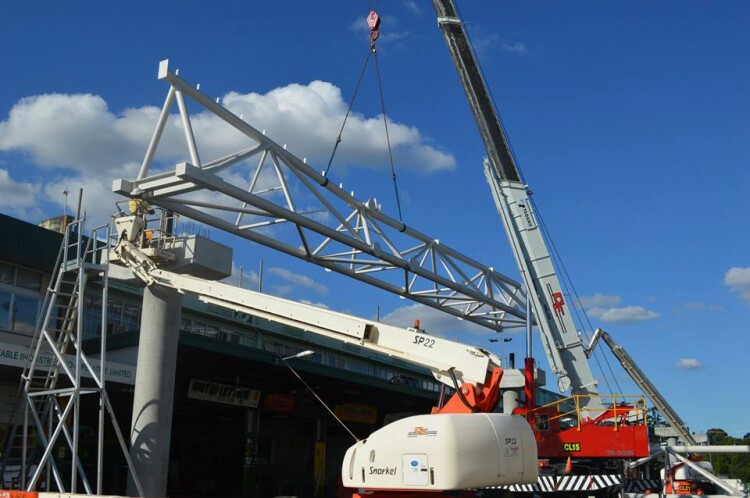 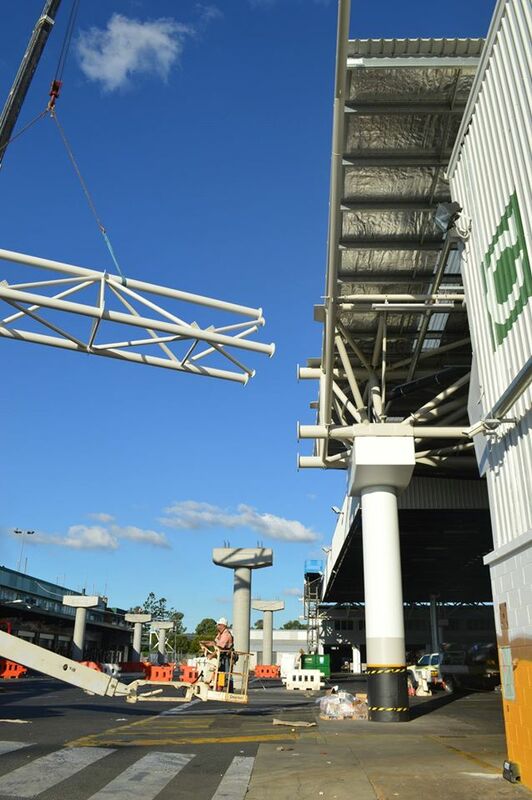 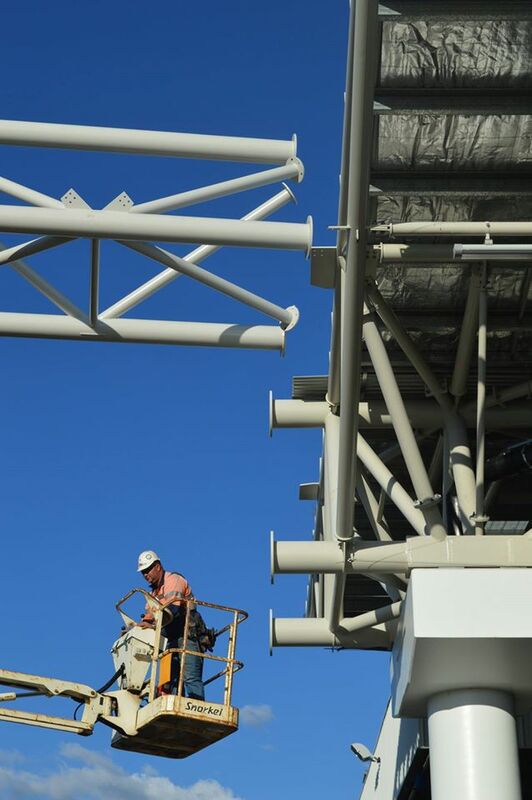 The first of the steel trusses for stage two of the Brisbane Markets Limited trading floor roofing project were erected yesterday with the same precision and skill as the stage one trusses erected in December last year. 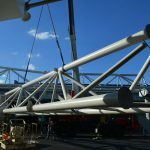 Stage Two will deliver an additional 2,500m2 to the Stage one roof works taking the total area of this project to over 10,500m2. 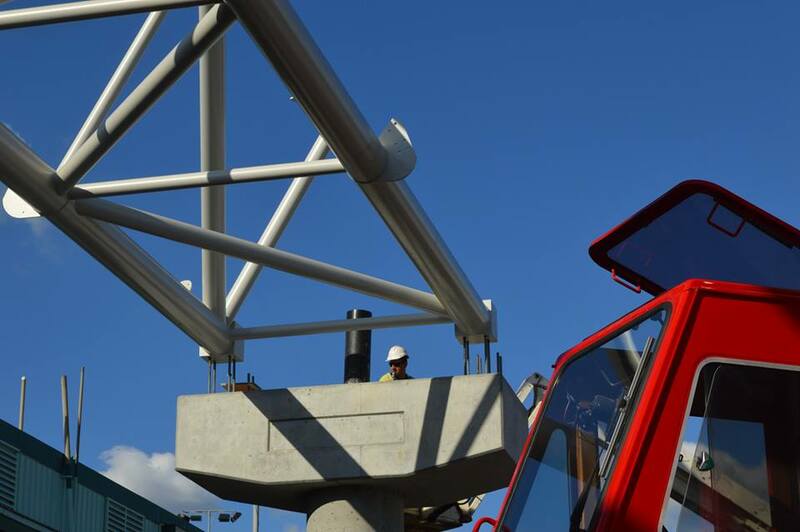 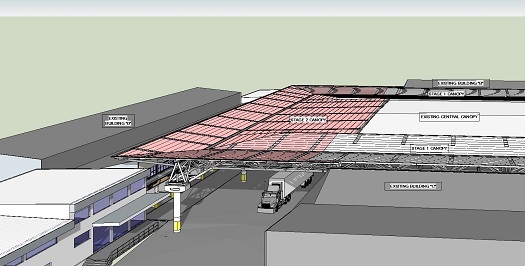 Stage Two (highlighted in red in the model pictured above) works are planned for completion by August. 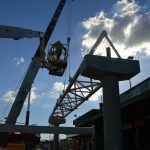 Senior Project Manager Barry Murphy explained how the level of accuracy being achieved by the tradesmen involved continues to amaze him. 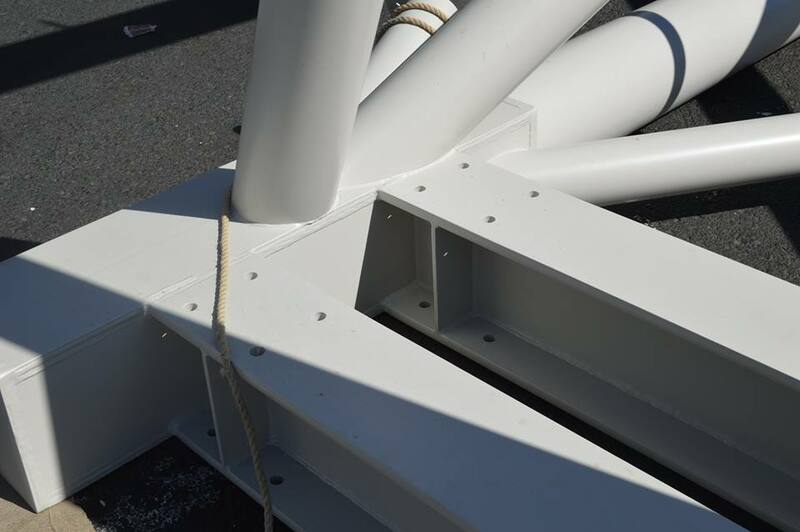 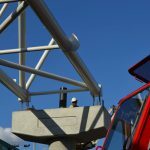 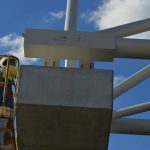 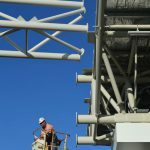 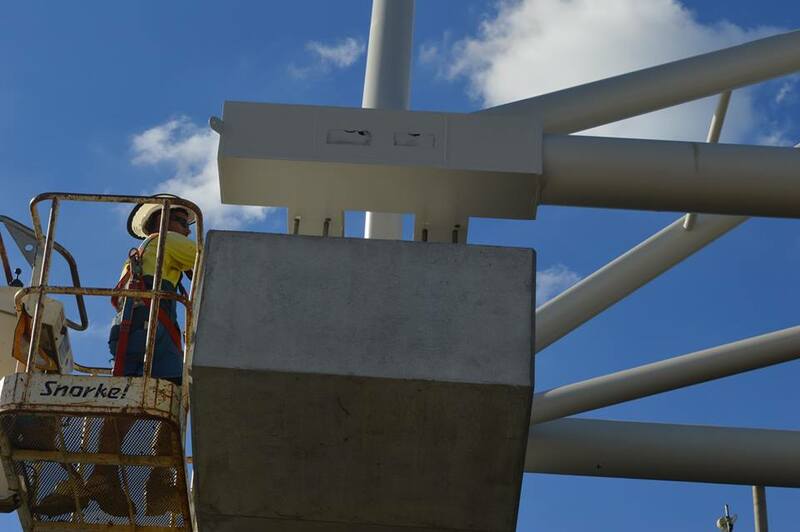 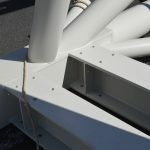 “The second truss which joined the completed stage one structure with the first truss of stage two is affixed with a total of 48 bolts and connected through 6 plate flanges with no tolerance for error.” Barry Said.